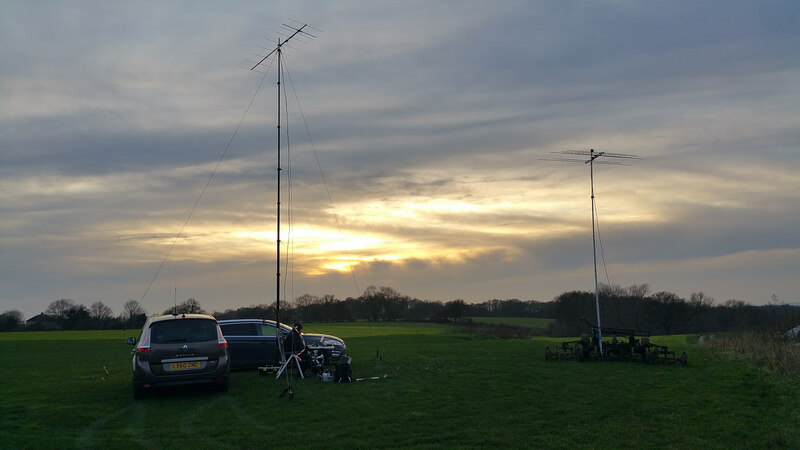 This was our first opportunity to go portable VHF this year, making the most of a very warm February afternoon. 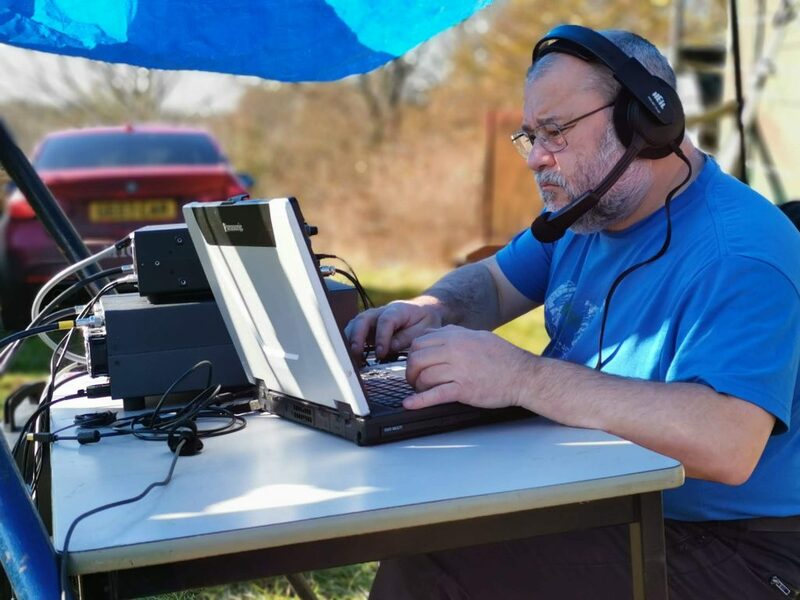 The RSGB run a series of contests thought the year, and this was the ideal opportunity to put on the club call M0SNB. 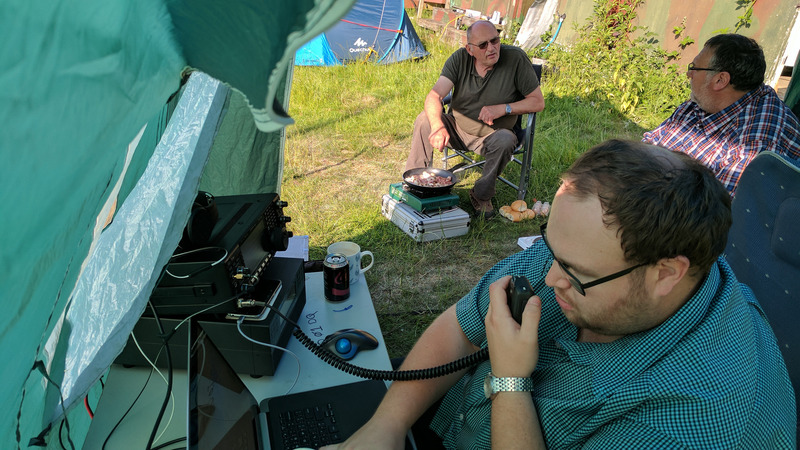 We operated from the Secret Nuclear Bunker near Kelvedon Hatch, using the Icom 7300 and 160w from the expert 1.3KFA solid state amplifier. 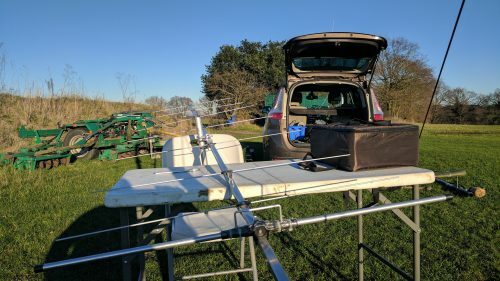 The antenna was my hombrew 6e for 70 MHz, this is built onto a 4m boom, that breaks down into 2x2m for easy transport to site. I have detailed the antenna build project in this article. 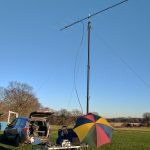 The weather was so good we decided to operate alfresco at the bottom of the 10m pump up mast. 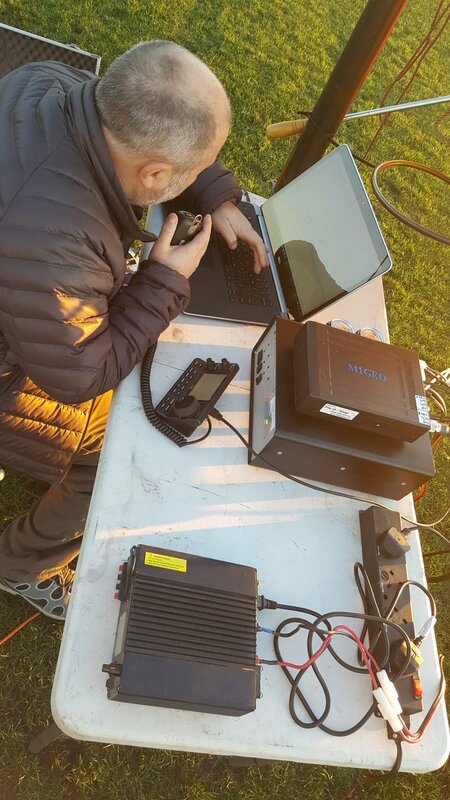 Here is George M1GEO operating with the Icom 7300 and Expert setup on the operating table. 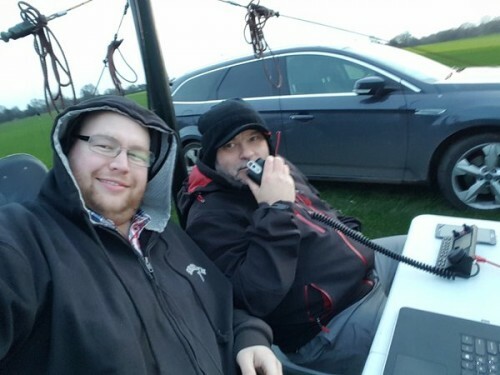 Dave M0TAZ operating the station. The contest lasted for 2 Hrs, and we managed to work 48 stations all over the UK. All together an enjoyable contest, thanks to everyone we worked. 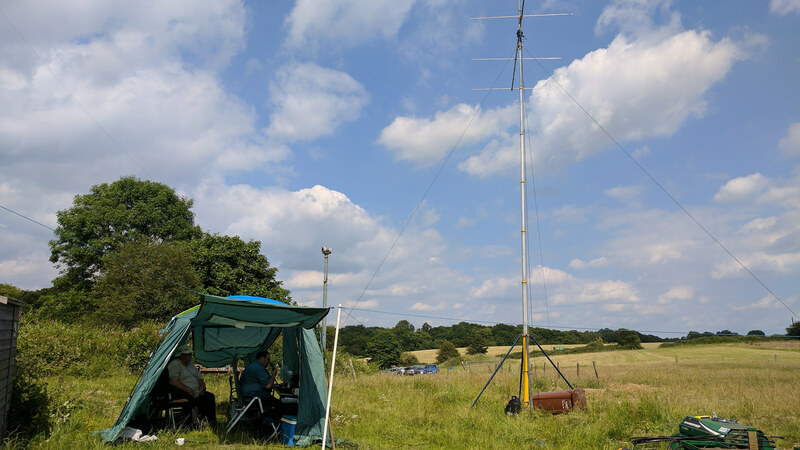 Sunday 11th June was the #2 backpackers, hill toppers and QRP contest. The RSGB contest ran from 10 till 2 PM and had two categories 25w or 5w. I decided to enter the 25w category, the radio had to be battery powered and the power limit was 25w. 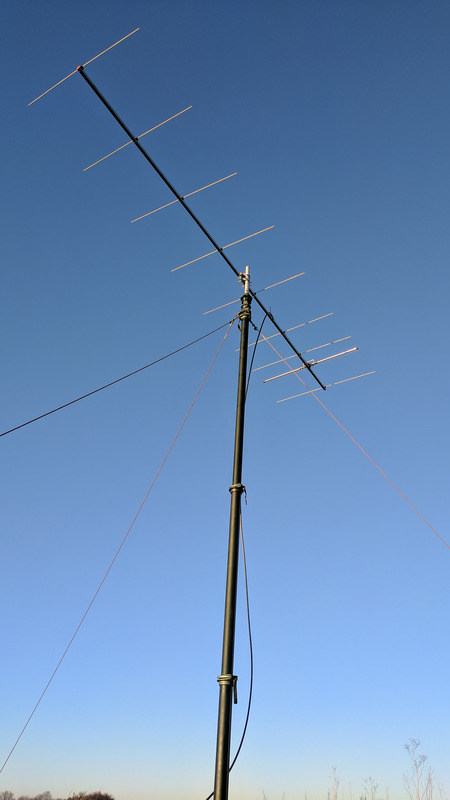 The antenna was a 9e tonna mounted on a Racal push-up mast at 6m. You can read the complete rules online. The exchange is a signal report, serial number and then your locator, so a typical exchange may be 59, 001 in JO01DP. I worked a couple of stations who was aware it was an activity day, but not aware of their locator. I found the best way is to look it up online or download one of the many phone apps that will do this for you. I started a little late at 10.30 as on this occasion I was operating alone. 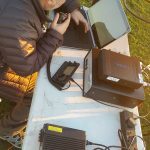 Using the Icom 7100 and a 68Ah leisure battery I was able to operate for the complete contest. 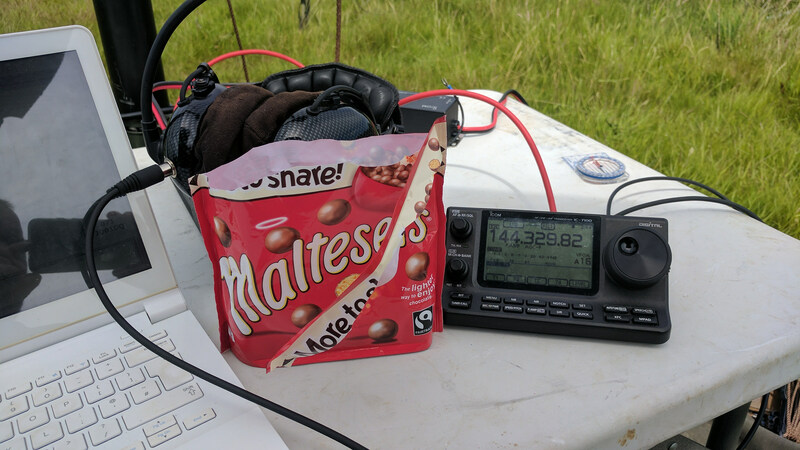 I used a small netbook to log, it’s important to find something that can be battery powered for the duration of the contest. 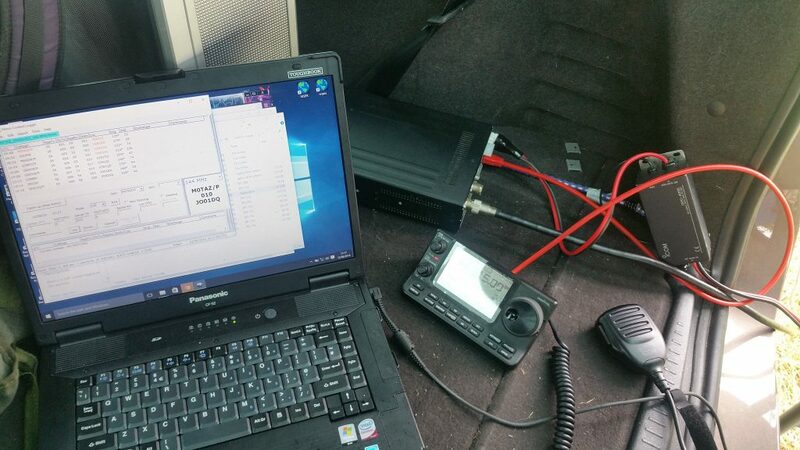 I did have one unexpected problem, if the laptop was within 1m of the radio it did cause some QRM, interesting, as I had never noticed that before. 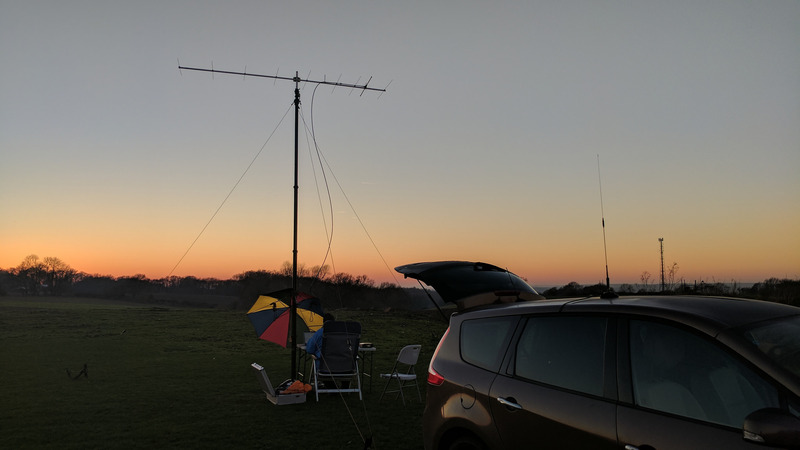 Conditions seemed flat, but the bands were very busy, I think this contest coincided with the practical wireless QRP contest. Over the next few hours I was able to work 75 stations in 4 countries (England, Wales, Isle of Man and Gurnsey) The best DX was 430KM into the Isle of Man. Thanks to everyone who took part, a really enjoyable afternoon in the sun. 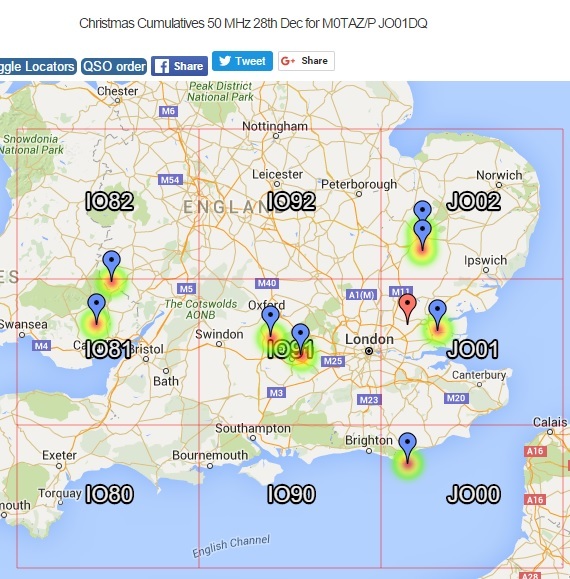 The RSGB have a series of Christmas Cumulative contests covering 50/70/144 and 433 MHz. 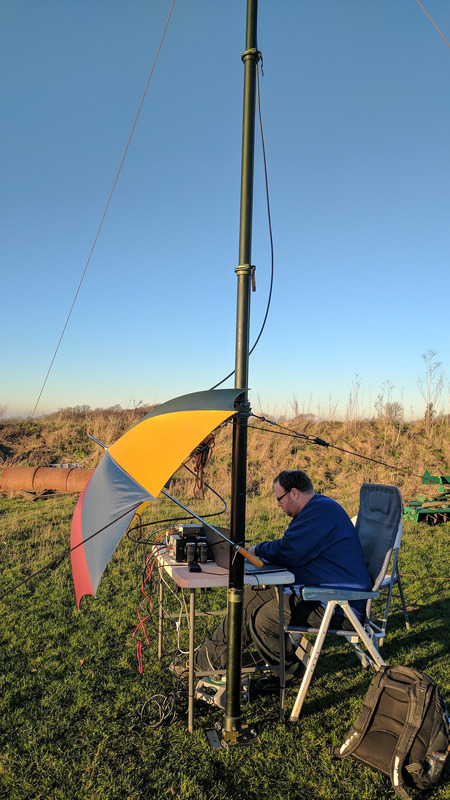 The contest is a chance to put down that turkey sandwich and head out to play some radio in the winter sun. The contest run for 2 hrs, and activity is over 4 days. You can read the rules online, and activity is typically quite high. 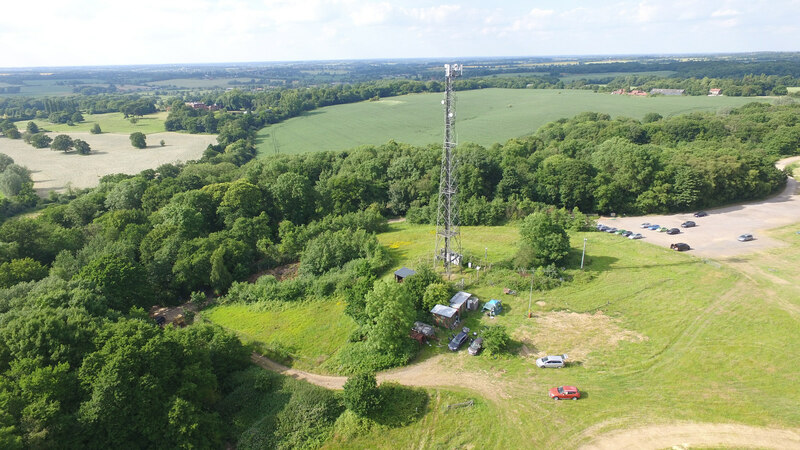 This year I joined George M1GEO at our contest site above the Secret Nuclear Bunker in Kelvedon Hatch. 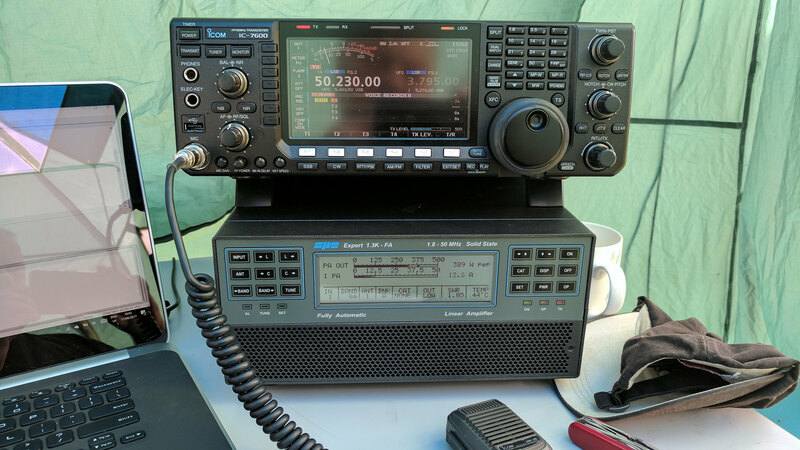 Icom 7100, 9e Portable Tona and RF power was provided by a Linear Amp 300w solid state amplifier. 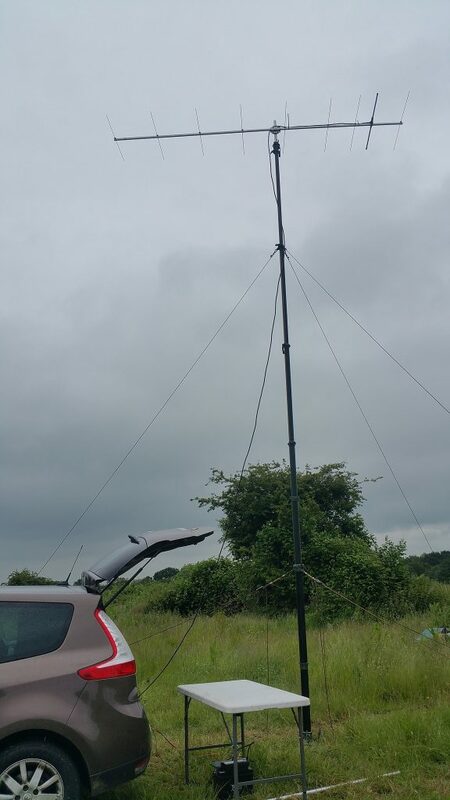 The mast was a Racal PU 12 at 5m as the band was wide open with tropo propagation, this provided some interested DX. Mains power was provided by a silent running 2KW Honda generator. 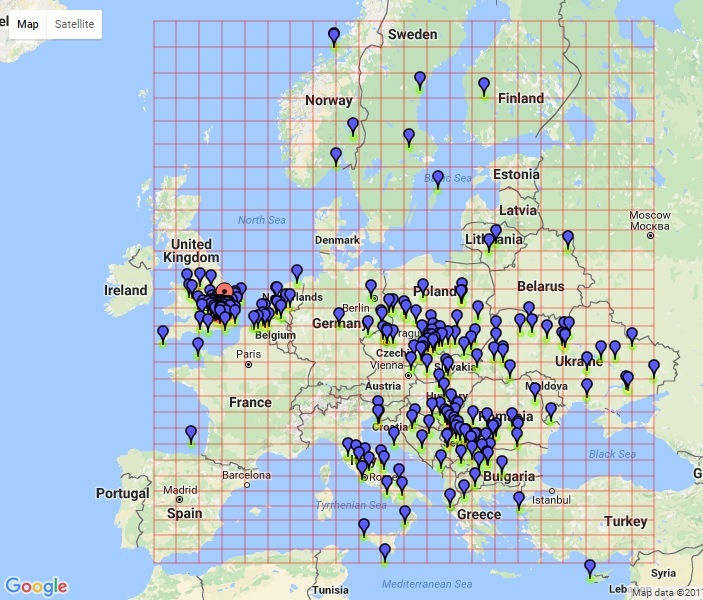 We managed to work 51 stations, with our best DX into Spain, EA1FDI in IN53 at 1143 KM. 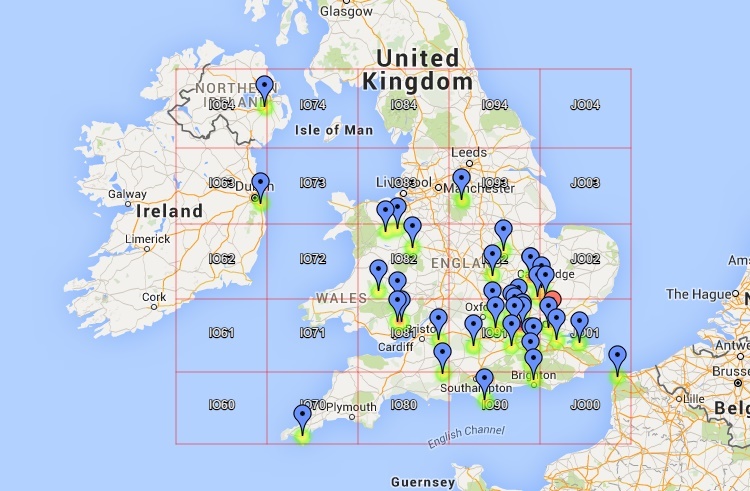 The QSO map showed some great openings to the South and East. The temperature dropped quickly once the sun set, providing a spectacular sunset and the motivation to pack away quickly. 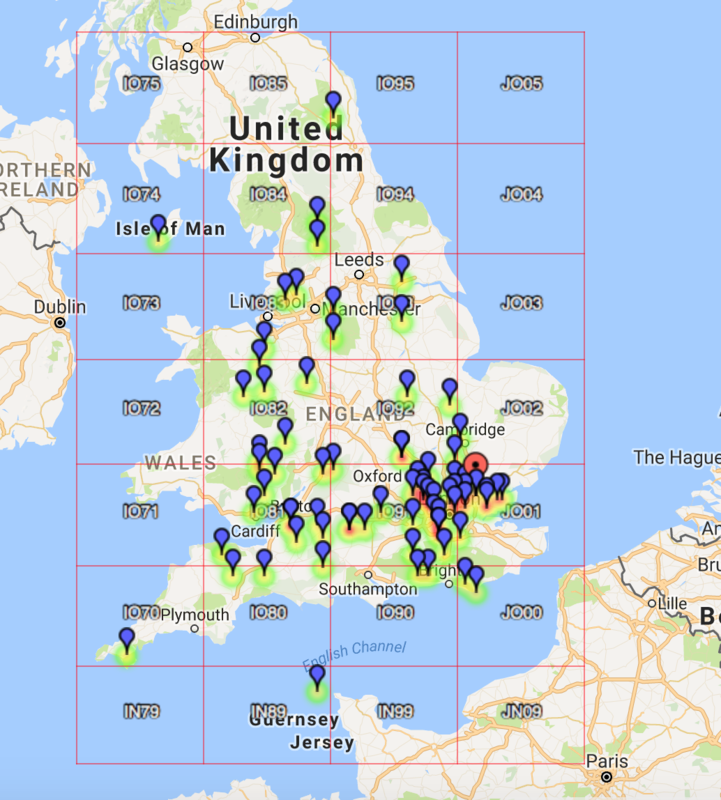 Altogether a great afternoon playing radio, with some great propagation for a change. Thanks to everyone we worked, and all the best in 2017. 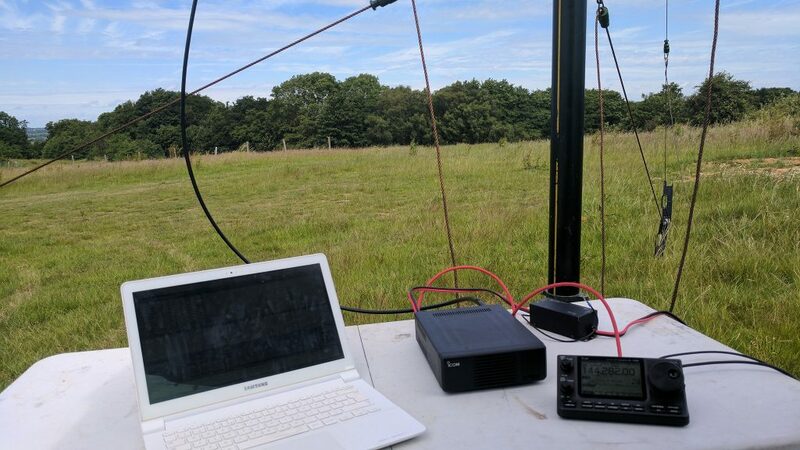 Operating from the Kelvedon Hatch SNB contest site. 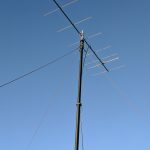 The antenna was supported by the Racal PU12 mast. 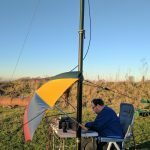 The band seemed very active as the contest was arranged to align with the 144 MHz Practical Wireless low power contest. I started round 45 mins late, and closed the station down by 1pm so only operated for 2.5 Hrs. 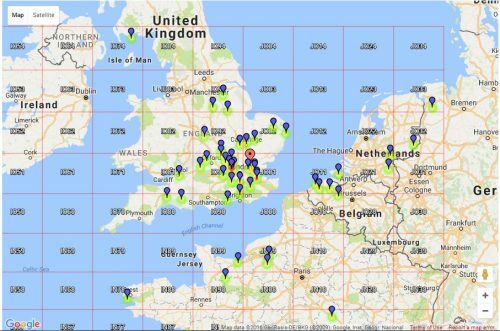 Best DX was EI at 527 KM, was pleased to work into GW and France and nice to hear Cornwall. 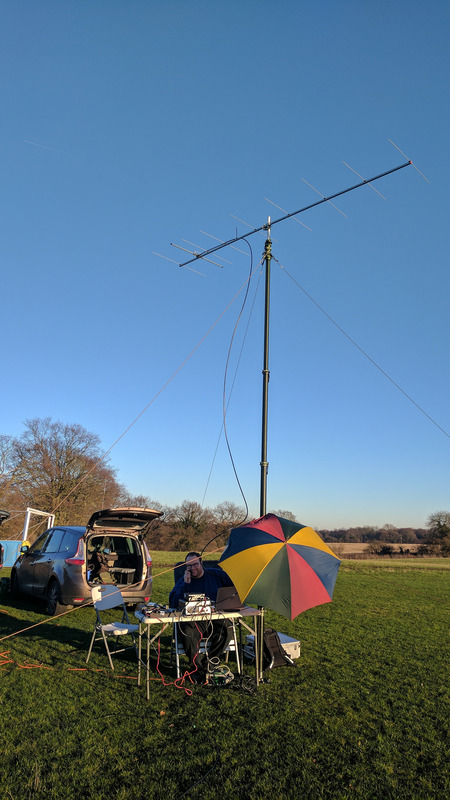 Today I operated alfresco with George M1GEO from our contest site at Kelvedon Hatch SNB. 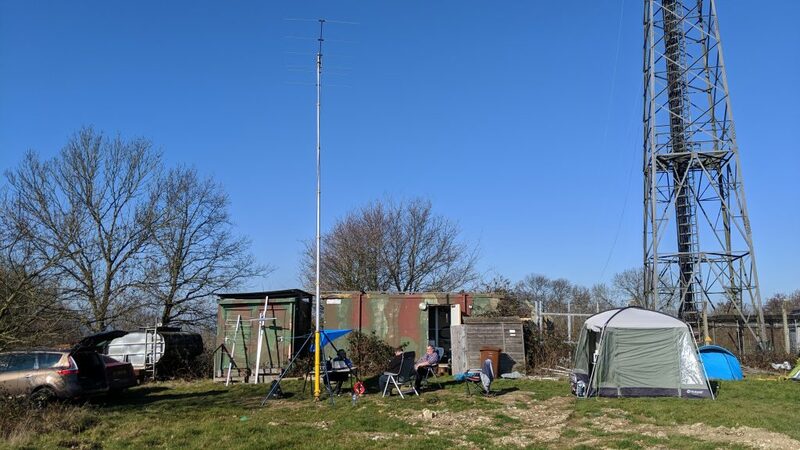 Operating as M0TAZ/P from Kelvedon Hatch SNB in JO01 we managed to operate 3 bands, 144, 70 and 50 MHz. The contest was a RSGB Christmas Cumulative Contest and we entered as the Secret Nuclear Bunker contest group. 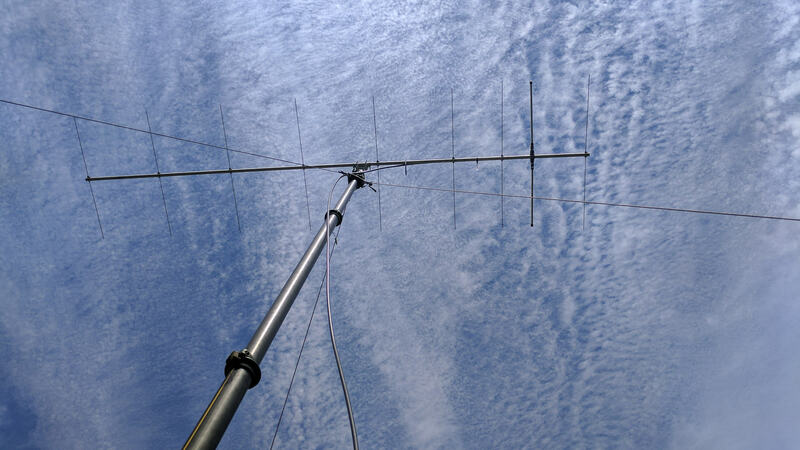 The 50/70 MHz interlaced beam is interesting as it uses a single feed line, and respectable gain for a 2m boom length. Mast head preamp 11 to 18 dB gain. 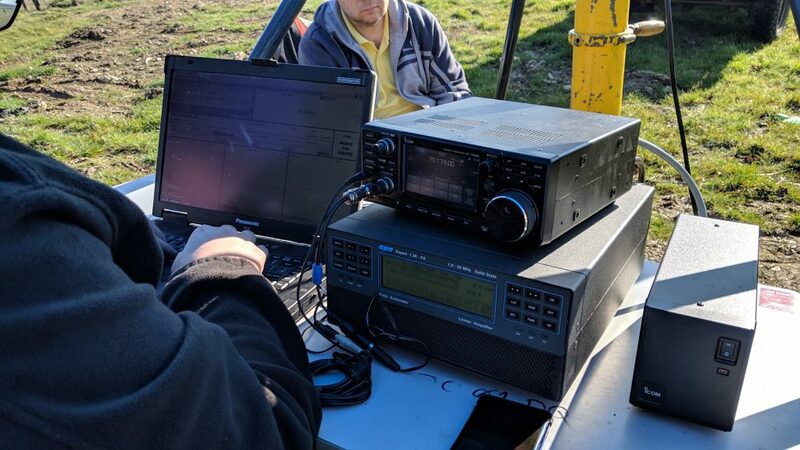 Radio Icom 7100 at 50w. 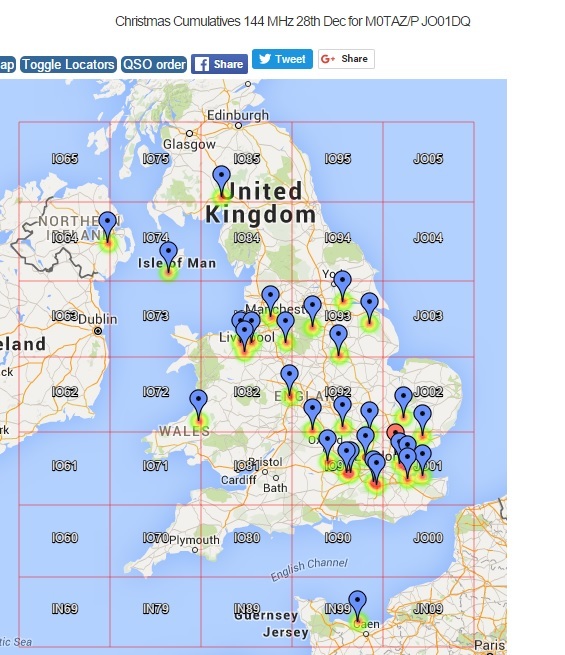 Maps showing the QSO enclosed. Thanks to everyone we worked, from a rather chilly Kelvedon Hatch.